One of the biggest challenges for anyone who is trying to gain weight is how to eat enough extra calories without feeling too full. While increasing portion sizes will provide additional calories, people who don't have large appetites may not find that an effective means for gaining weight. A better way is to focus on incorporating higher-calorie foods into smaller meals and snacks throughout the day. Food is composed of protein, carbohydrates and fat, and of these three macronutrients, fat provides the most calories. 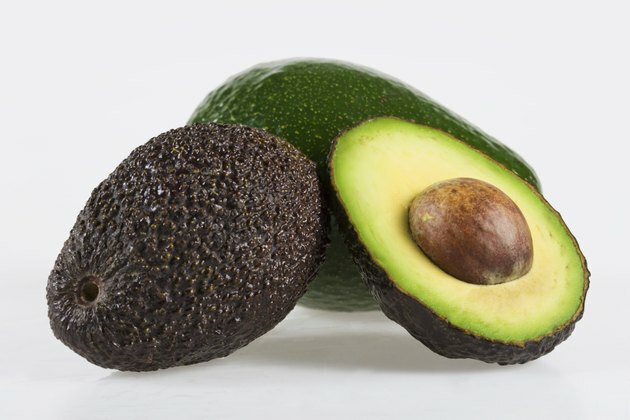 Foods that are high in unsaturated, or healthy, fats help to add extra calories if you're looking to gain weight. Healthier high-fat foods include nuts, nut butters, avocados and olives. 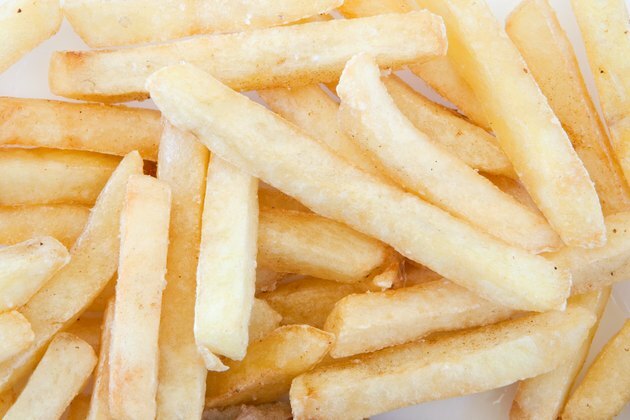 An average-size serving of any of these can add an additional 150 calories, without being overly filling. In addition, olive and canola oil are both heart-healthy oils, which provide an additional 120 calories per tablespoon. Drizzling an extra tablespoon of oil into salad dressing, vegetables, potatoes or rice -- or on top of grilled or roasted meats -- is another way to boost calories a bit without increasing the quantity of food eaten. 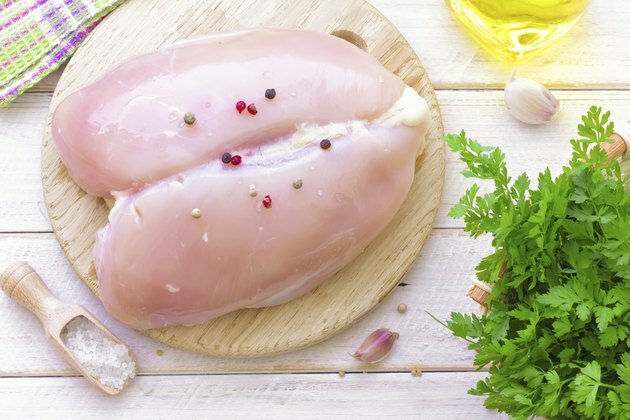 Lean proteins like egg whites, chicken or turkey breast or white fish are extremely low in calories. Choosing whole eggs, dark poultry meat or fattier fish like salmon, sardines or bluefish adds extra calories without extra quantity. All of these foods are still healthy choices for proteins. Swapping out fat-free dairy foods such as skim milk or nonfat yogurt for higher-fat choices like whole milk, full-fat yogurt or cheese is another way to boost calories. If you get filled up too quickly at mealtime, make sure you include high-calorie snacks between meals. Good choices include trail mix with dried fruit, nuts and dark chocolate, peanut butter or cheese with whole-grain crackers or bread, or guacamole made with added olive oil and served with chips. Any time you have a span of more than three to four hours between meals, and definitely before bed, eat a snack to help gain weight. Instead of water with meals, drink 100 percent juice or milk, which adds calories. Adding a scoop of protein powder or even dried milk powder to a glass of milk helps to boost its calories even further. 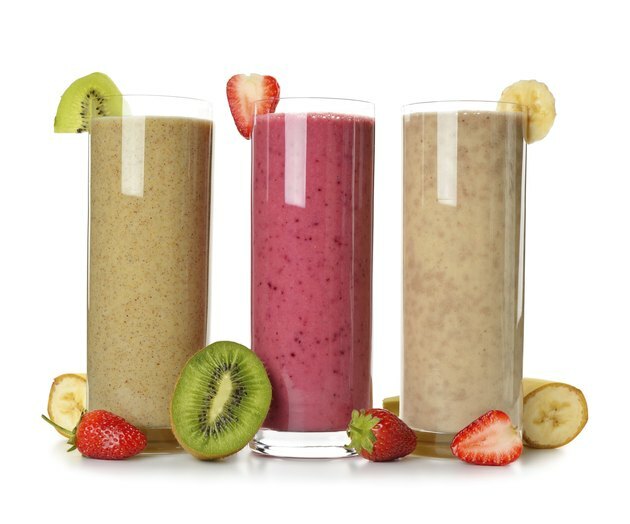 Whip up smoothies or frappes for dessert or a bedtime snack. They can be calorie-packed by mixing in fruit, a scoop of peanut butter, protein powder and higher-fat yogurt or ice cream.